Born on October 13, 1942, Mr. Ridge is an experienced and respected researcher and investigator involved in the serious study of the UFO phenomena in an official capacity since 1960. 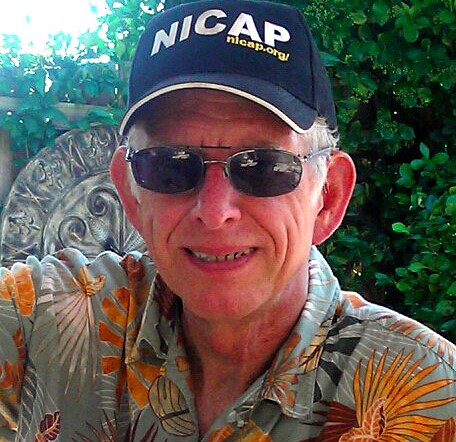 Starting out as head of the NICAP Subcommittee (National Investigations Committee on Aerial Phenomena) in Indiana (1960-1970), his 7-man team operated as a rapid response team in S. Illinois and S. Indiana. Ridge served as State Section Director for the Mutual UFO Network (1972-1986) and in 1986 became the MUFON State Director for Indiana (1986-1995). As head of the MUFON Indiana Group (MINDY) he was in charge of Indiana's Rapid Deployment Team of over 30 FIs, gleaned from over 150 hand-selected trainees. Ridge was also a Field Investigator for CUFOS (J. Allen Hynek Center for UFO Studies). He has investigated hundreds of cases and his computerized Regional Sighting Information Database lists over 4,000 entries for the region covering Missouri, Illinois, Indiana, Ohio, Kentucky & Tennessee. Ridge simultaneously operated and directed the UFO Filter Center and was the Director of the UFO detection effort called the MADAR Project (1970-1995). MADAR was re-established In February of 2014. In 1997 Mr. Ridge began official work on a website which was authorized on December 15th as the NICAP site, a major special evidence cataloging project for internet use based on evidence collected by the National Investigations Committee on Aerial Phenomena. He is also the project coordinator for The Nuclear Connection Project, a small group of researchers working on reports of UFOs over nuclear sites and missile bases. There is no question or doubt that most UFOs are actually IFOs (Identified Flying Objects). For the subset of events that cannot be explained, there is a small group of sightings that demonstrate solid objects under intelligent control. I am convinced that these objects are somebody else's craft. Although I cannot prove that the intelligence behind the phenomena is ET in nature, I consider the ETH to be the least unlikely. I also feel that there is a nuclear connection (or one that indicates a cause and effect relationship with serious world events that could lead to a nuclear threat) and that the evidence in the form of military sightings indicates an overt military-type operation.